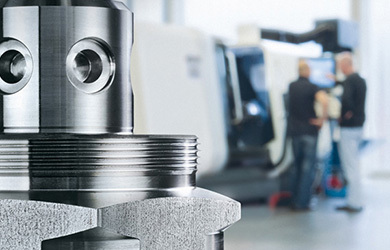 WD Hearn Machine Tools have one of the largest and most highly skilled CNC service departments in the country. 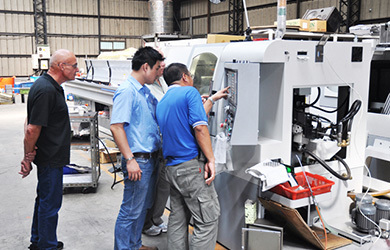 Our focus is on sharing ownership of the installation of CNC machines into machine shops, through the expertise of knowledgable sales people, skilled CNC technicians and CNC application engineers. 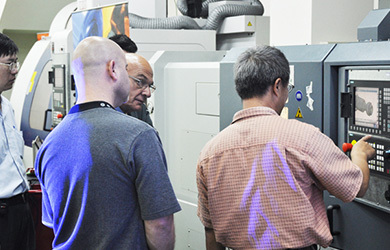 In Johannesburg, Cape Town, Port Elizabeth & Durban our engineers have all been for product training at the machine tool builders facilities. In the past 2 years we have sent engineers to Siemens (Germany), Mitsubishi EDM (Germany), MAG (USA), MAG (Germany), Yushine (Taiwan), Flow Waterjet (Germany), Leadwell (Taiwan), Sanco (Taiwan) , Nikon (France) , Partmaker (UK) and Renishaw (UK). We pride our selves in excellence through service, and believe in the philosophy of having the correct training for our service engineers. 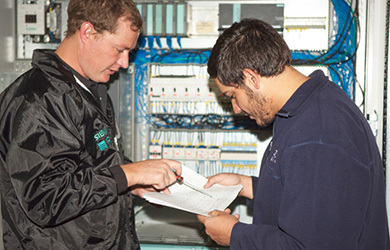 WD Hearn became official Siemens partners in 2007 and have been handling the aftersales service on all our Siemens 802Dsl, 808D and 828D control requirements, including stocking of Siemens drives, controllers and motors in JHB and Cape Town. WD Hearn owns Renishaw probing/lazer systems and software for machine accuracy testing, repairs and maintenance. Renishaw probes offer the highest precision and accuracy, while providing solutions for tool setting, broken tool detection, component set-up, in-cycle gauging and first-off inspection of parts, with automatic offset updates. 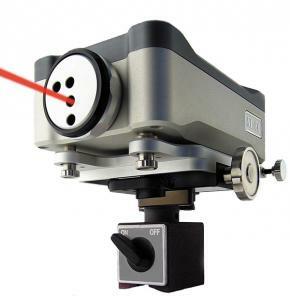 The XL-80 laser interferometer offers the ultimate in highperformance measurement and calibration for motion systems, including CMMs and machine tools. Linear measurement accuracy is an assured ±0.5ppm over the whole environmental range. Readings are taken at 50kHz, with a maximum linear measurement speed of 4 m/s and a linear resolution of 1 nm. The QC20-W is a completely new design featuring a Renishaw developed linear sensor and Bluetooth wireless technology. This design offers benefits in ease of use and enhanced durability, and allows the QC20-W to be used for testing even in “closed door” manufacturing, where access for wiring can raise safety and procedural issues. WD Hearn has employed two highly skilled applications engineers.Their expertise and experience allows WD Hearn to offer tailor made application solutions that no other machine tool company in South Africa is capable of offering. Andre Enslin handles our applications in Port Elizabeth and Cape Town, and Johan Neveling takes care of all Johannesburg and Durban’s application requirements. Between Andre and Johan’s experience we are capable of handling training on all popular control types from Siemens to Fanuc to Mitsubishi, support on a variety of CAD/CAM systems, and training on a broad range of machine configurations, from C-axis lathes to 5-axis machining centers, to swiss type turning and Horizontal machining centers. 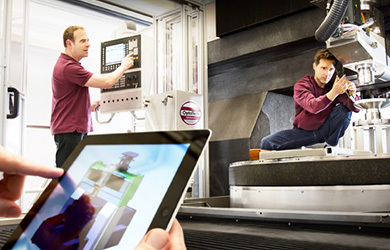 We are striving to become the most technically advanced machine tool company in the country. WD hearn offers full CNC training on-site, or at our training room in Cape Town; fully equipped with Sinutrain for training on all Siemens control systems, as well as courses in using Edgecam’s CAD/CAM software. WD Hearn offers a broad range of fully designed & delivered turnkey solutions to fit any production or jobshop requirement. 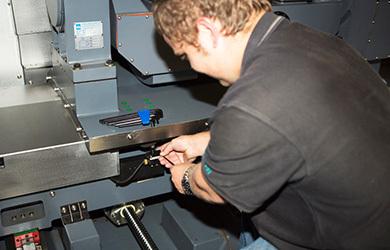 Our solutions come complete with extremely accurate cycle times and advice on the correct equipment to purchase. If you are a WD Hearn customer in South Africa and require quick programming assistance, we can help online and telephonically with full programming and application support.